No retelling of war can ever capture the experience. There are heroic tales and there are horrific ones – they all serve their purposes. Some stories of war are necessary to entice the young to do their duty for the good for some greater purpose and others are cautionary tales from the old who have experienced what it means to serve some higher purpose that they do not completely comprehend. Other stories of war fall somewhere in between all of this. It can be a realistic, graphic depiction of terrible actions as in the case of Joshua Dysart‘s explicit presentation of war in Africa via his run on Unknown Solder. 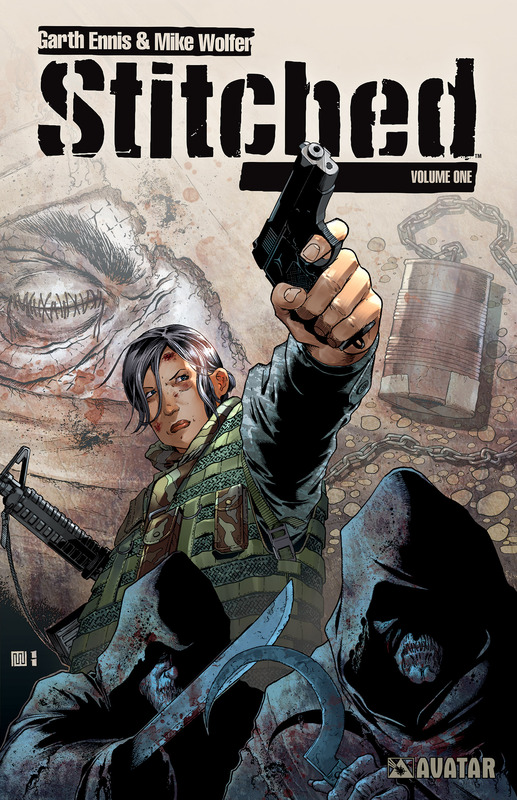 Exploration of war can also be something more akin to Garth Ennis and Mike Wolfer’s Stitched, a horror metaphor with ambiguity that allows it to present multiple angles and situations that are not otherwise so easily put to words. Stitched is the tale of several soldiers that find themselves stranded in the wilds of Afganistan, a country that is completely foreign and hostile to their presence. The terrain is inhospitable, they are lacking supplies or any way to communicate with their homes and they are being hunted by supernatural zombie soldiers that are seemingly unstoppable. The protagonists eventually learn that these zombies have been forced into their current state through horrible black magics that are native to the land. This conscription of the locals into zombie soldiers serves as a wonderful metaphor for how westerners see the current state of hostilities in Afganistan today. Regardless of whether or not people forced to be mind-controlled zombie soldiers is a complete or even realistic examination of war happening across the globe from our comfortable and generally warm homes is not, I hazard to say, important. What is necessary and accomplished quite nicely with Stitched is the abstraction and discussion of a difficult subject that should be examined and re-examined until until we are all blue in the face if not all pacifists and no longer needing metaphors to understand these potentially unanswerable questions. This entry was posted in Columns and tagged alternative comics, avatar press, GArth Ennis, indie comics, Joshua Dysart, mike wolfer, stitched, unknown soldier, war comics. Bookmark the permalink. Follow any comments here with the RSS feed for this post. Post a comment or leave a trackback: Trackback URL.